For over forty years, the Dempsey and Baxter families have been known as one of the most reputable jewelry families in the industry. Stemming from a two man operation in 1968, the business has grown on a reputation for honest dealings and competitive prices on the highest quality jewelry, accessories, collectibles, and giftware. Our current facility on upper Peach Street houses our Celebration Jewelers team. The seventeen member staff carries dozens of degrees, certifications, and accreditation from all across the industry. Members of our staff currently hold certificates from the Gemological Institute of America in almost all areas of the jewelry industry including: Diamonds, Diamond Grading, Colored Gemstones, Precious Metals, Pearls, and Appraisals. As the largest jewelry store in Northwest Pennsylvania, we carry the most extensive inventory in the area, featuring diamonds and colored stone jewelry, as well as thousands of selections in gold, silver, and platinum. Regardless of taste or price point, we're sure you'll find something either you or your sweetheart will love. Throughout the year, our experts scour the country for the most unusual designs available. As such, we carry an unbeatable selection of rings, pendants, earrings, necklaces, charms, bracelets, bands, and specialty jewelry. Not enough? Our four in-house jewelers can design and craft a custom piece of your choosing. In other words, if you can dream it, we can build it! Perhaps you are looking to get engaged? You won't find a larger stock in the area of loose diamonds to fit your wants and needs. 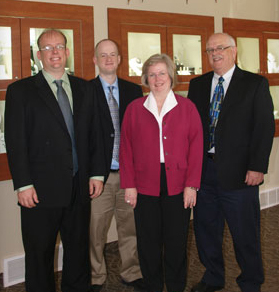 Stop in and talk to one of our diamond experts to see why we truly are "Erie's Diamond Destination."